For a city that truly knows its artistic masters, from the humble artisan to the grand and majestic Basilica San Marco, Venice is the quintessential stage for the world’s oldest International Film Festival. Just like the waters of the Grand Canal, style and intrigue flow through Venice like nowhere else, and the Venice Film Festival is certainly no exception. Previous years have drawn leading Hollywood A-Listers, from George Clooney and Brad Pitt to Michael Fassbender and Quentin Tarantino, to what is a highlight of the European Film Festival Calendar. This year sees Paul Thomas Anderson’s “The Master,” starring Joaquin Phoenix and Phillip Seymour Hoffman vying for the coveted Golden Lion. Holidaymakers looking for that extra special getaway can find solace in the expert arms of the leading Italian specialist Citalia to enjoy such a spectacular occasion. 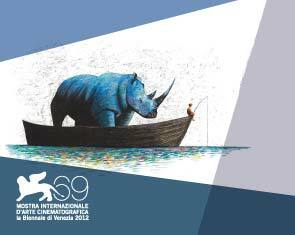 Directed by Alberto Barbera, the Venice Film Festival is hosted on Lido Island, starting on 29th August and ending 8th September 2012. It is known for its dedication to promoting the history and merits of international film, particularly in its art form, and has been running since 1932. For anyone interested in adding the allure of Italian cinema to the many art attractions available in Venice, it is perfect for a culturally rich trip. An excellent offer from Citalia to enjoy this spectacle is a 4 night holiday staying at the San Cassiano Ca’Favretto Hotel on a bed and breakfast board basis. With an early booking and online discount, prices are from £569 per person, saving up to £101 per couple. This is for flights departing on 1st September 2012 from London Gatwick with British Airways. With a city that boasts the golden tinted masterful works of Tintoretto and the mosaics in the Chiesa d’Ora (Church of Gold) in the Piazza San Marco, hosting a Film Festival is a logical progression due to their penchant for all things that glitter. During the festival, holidaymakers will delight in being blinded by the Golden Lion trophies, A-List film stars and local glitterati. Hollywood might do glam, but Venice has sauntered through style and panache for centuries. For further information on the entire range of Venice holidays, as well as Rome and Florence holidays and other holidays to Italy, visit the Citalia website or contact Citalia on 0844 415 1956..